Looking for a USED GB-7? in four different models - flat or spiral bottom belt drive and flat or spiral bottom direct drive low profile units. loading of parts, the machine will start, process, then unload your parts. Vibratory Finishing, Mass Finishing Systems, Vibratory Deburring Machine & Equipment Manufacturer. We can also supply you with any vibratory deburring media, chemicals and compounds for your application. Thank you for your business! 22 ModelsView more about Giant Finishing, Inc. 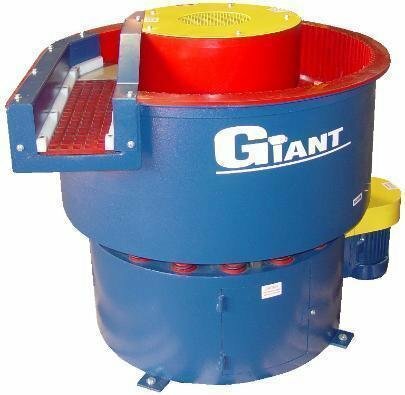 Looking to Purchase a New GIANT FINISHING GB-7?